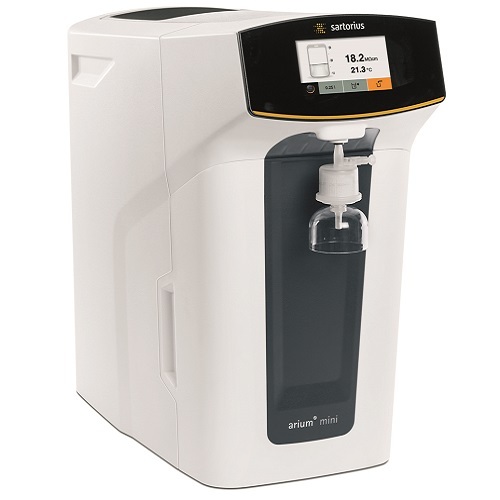 To ensure the best ultrapure water quality and the reliability of your process, Sartorius has also implemented the highest quality standards into all functional areas. For example, you can set a limit for the purified water quality. If this limit is exceeded, further dispensing of water will be prevented or accompanied by a warning, depending on your menu configuration settings selected. 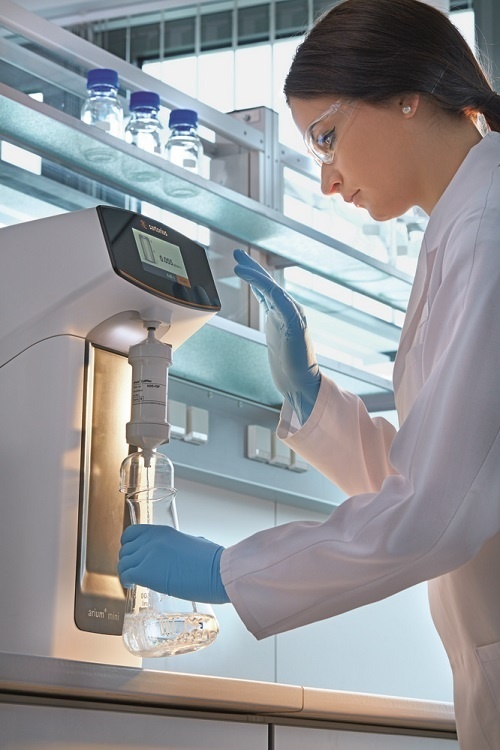 Ultrapure water is the basis for successful analyses; yet analytical methods are becoming more and more precise and therefore more susceptible to interference. Consistently high-water quality is a critical component of the reproducibility of your results. The device is a water purification system that produces “ASTM Type 1” ultrapure water for daily requirements of up to 10 liters. Regardless of the type of feed water you have, use arium mini or arium mini plus with our unique bagtank technology or connect arium mini essential directly to your deionized water supply line as needed.